Coolplus® wicking fabric keeps you dry and cool. Slimmer fit. Self fabric bound collar. Contrast pip..
Textured fabric is moisture wicking allowing you to stay cool, dry and comfortable. Self fabric V ne.. Fabric is moisture wicking allowing you to stay cool, dry and comfortable. Self fabric neck. Contras..
Top Cool® lightweight, quick drying textured fabric. Moisture wicking honeycomb fabric on back for e..
Coolplus® modified polyester fibre draws moisture away from skin to keep you cool and dry. Contrast ..
Wicking fabric keeps you dry and comfortable. Birds eye knit. Self fabric collar. Raglan sleeves. Co.. 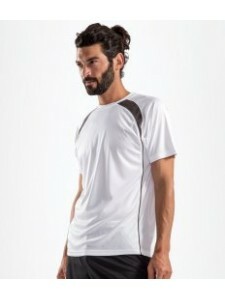 Fabric is moisture wicking allowing you to stay cool, dry and comfortable. 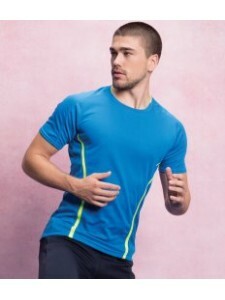 Self coloured shoulder pa..
Cool-Dry© moisture management textured fabric. Lightweight and quick drying. Self fabric collar. Ref..
Moisture wicking Isovent fabric. Anti-bacterial. Quick drying. Self fabric collar. Elasticated loop ..
Textured fabric. Self fabric collar. Taped neck. Raglan sleeves. Reflective detail on raglan seams. ..
Breathable fabric. Self fabric collar. Taped neck. Contrast mesh panels at raglan seams, front and b..